We provide the best Jimmy Buffett show around with a mix of great rock and roll covers and our own 3 Cd's of original music! Rick Lamb sounds just like Jimmy himself! We pride ourselves in getting people up on the dance floor and participating with the music! Our reggae versions of popular covers are always a hit. Traveled the country and also International being popular with the Parrot Head nation. We bring a tropical themed show to everyone with a reggae/rock and roll beat! Expect to enjoy an evening of songs about the beach and the warm tropical island life. We can offer you a variety of setups from a solo event with front man Rick Lamb or duet with Rob Davis. You can get the full band and we are able to adjust to most budgets and maintain the same quality of performance. 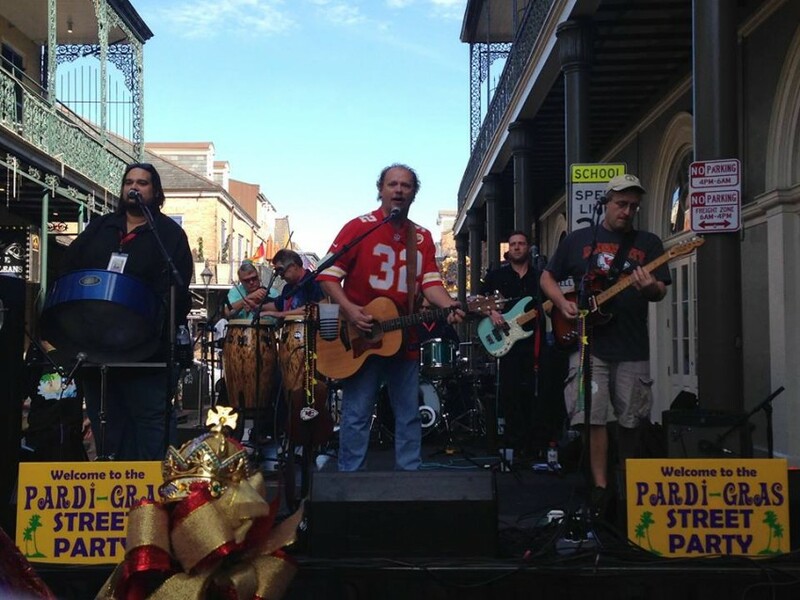 In the beginning it was Cruize Control, a band from the Midwest (Springfield, MO) rocking all across the country from 2006 to 2014 performing for Parrotheads and then the shift to Phin Addicts there which took us to being an all out Trop Rock band! Our Jimmy Buffet is the best there is and we deliver one of the best tropical themed sounds in the country! Rick Lamb is the front man for the band and his Buffett sound is spot on! He is a songwriter and singer since he was 18 where he taught himself guitar on the high seas while serving in the US Navy from 1977-1987. Songs of his times at sea and the many ports he has visited are very similar to the life of Jimmy Buffett. With several seasoned veterans in the music business, The core makeup of the band is, George Long Jr. drummer, has 40 plus years of playing with bands throughout the Midwest, opening for headliners like Head East and Charlie Daniels. He is an original member of the band that started out as Cruize Control in 2006. Robert Davis, joined the band in 2013 as lead guitar and vocals! Hardest working lead guitar around and delivers a very Peter Mayer Buffett sound. Also writes and sings his own music! Colleen Keener and Mark McConnell fill the bass spot and rotate as there schedule allows. Mark is an original band member from 2006 and is an accomplished songwriter. Joe Maharg adds the percussion to the mix. Originally a rock drummer he has converted over to the Congas to give us that tropical sound we desired. mark Mireles fills in at the Steel Pan when available. He has played them for 30 plus years and plays for several bands. He brings the ultimate tropical sound and is possibly one of the top Steel Drum players in the nation! We guarantee one of the best shows around and deliver a high energy show that keeps everyone on the floor dancing and singing along to all their favorite Buffett tunes. We have put out one CD as Cruize Control. Red Sky At Night, features Rick Lamb and Mark McConnell on vocals with David Smith songwriter and producer of the CD in 2009. A great mix of beach tunes and songs of the sea! The second CD All Hands On Deck was all written by Rick Lamb and produced by him as well! Songs of his tales of the seas with a rock/reggae flare provide a real diverse mix of tunes for you to enjoy! From California's capital to Key West, the band has traveled extensively across the nation providing the best Buffett sound out there! They can adapt to any size event with solo performance up to 6 piece band and able to adjust to most budgets. Able to provide our own sound for performances up to 500 people. Lighting is basic and we don't provide a light show but enough for stage lighting. Jimmy Buffett, John Mellencamp, Tom Petty, The Eagles, Rolling Stones, Credence Clearwater Revival, Bob Seager, Michael Franti, and Bob Marley.